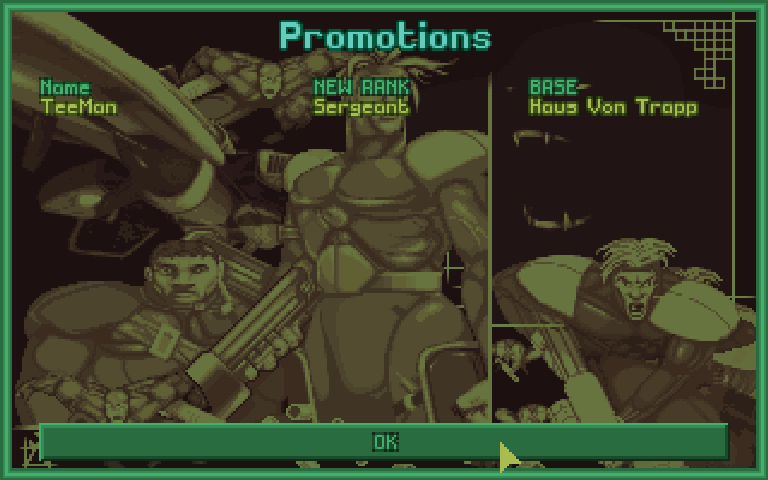 I'll sign up for whatever, X-COM janitor or something glamorous and/or stupid and dangerous. I have no doubts concerning the successful outcome of this campaign. Time to terrorise the terrestrial tresspasers' terror tentative! As it turns out, South Africa is not what we needed to worry about. In the past week, two UFOs have come and gone over Europe without us ever seeing them. It's hugely dispiriting to have them run rampant on our home territory without getting a chance to respond, but such is life with a single small radar system. We have to make the most of the opportunities we're given. 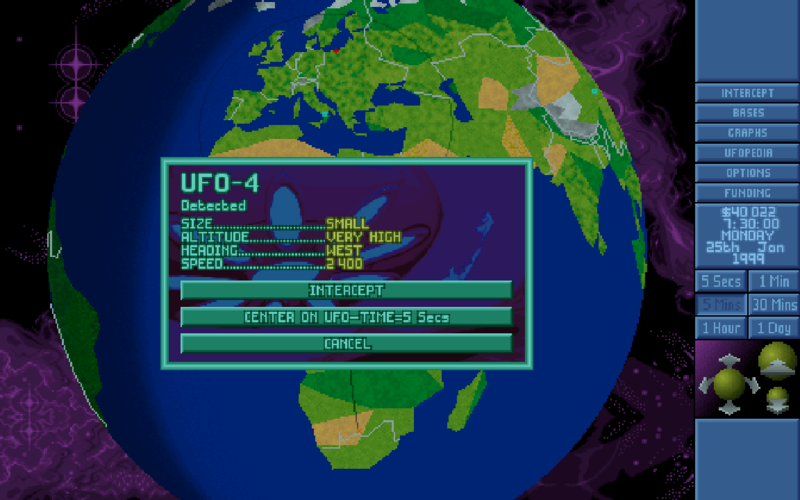 UFO-4 leads Lt. EvmaAlsar on a forty-five minute chase across Germany, the United Kingdom, and France. When it cuts speed to swing south over the Iberian Peninsula, its fate is sealed. 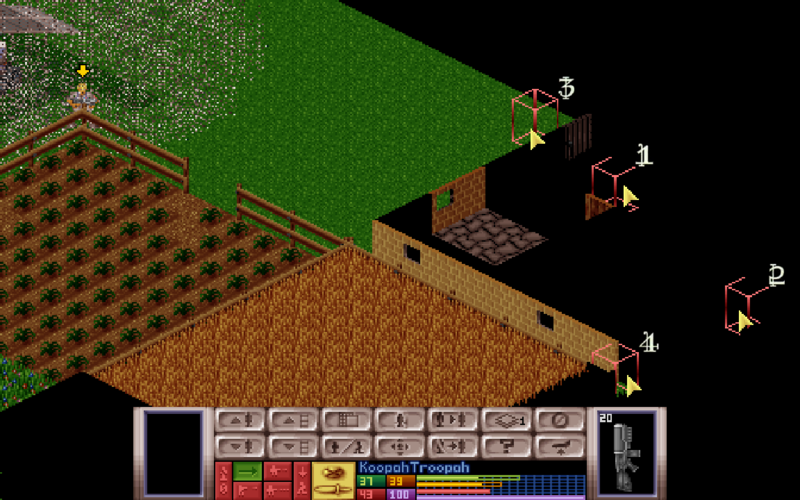 Two Stingray missiles send it spiraling down into the farmland below. Skyranger-1, you are cleared for takeoff. 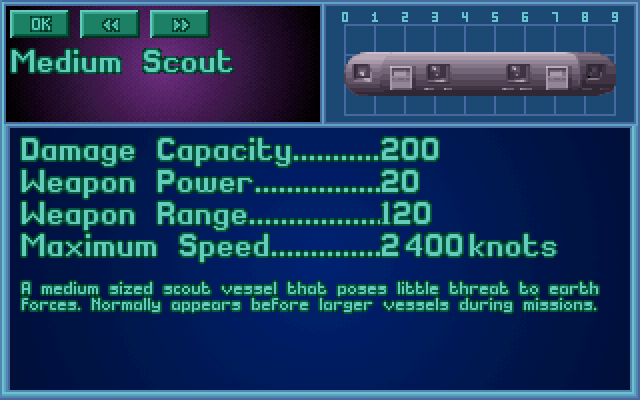 Its plasma cannon is just as weak as the Large Scout's, and with lower range than our Stingrays. The only threat posed by a Medium Scout is that it will outrun our Interceptor; if we don't forestall alien missions in the scouting phase, much worse things will follow. On the ground, the open internal plan of the Medium Scout makes breaching them a quick and brutal affair. Soldiers' lives can depend on whether aliens are facing the door when it opens. 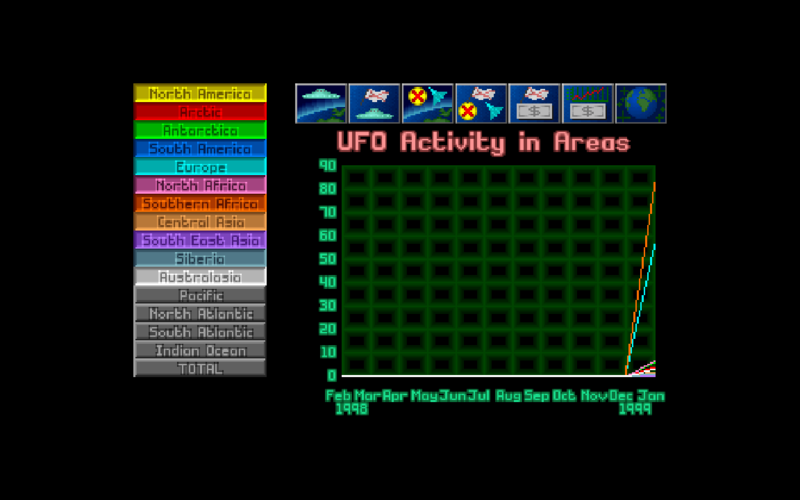 On terror missions, a corner deployment is a bad draw, as you risk being pinned in your LZ by the sheer number of aliens that Superhuman difficulty throws at you. And against Cyberdiscs and Chryssalids in particular, you need more maneuvering room than the corner allows. On a Medium Scout recovery, the corner is a fine position to be in. We can only be attacked from two sides, and we're facing even numbers. We drop smoke on the landing ramp and end the turn, as is the custom of our people. Somewhere, doors are opening and closing. We can hear that they're wooden doors - not the UFO door - but we don't know where they are. Our first goal after disembarking is to scout for a building. To the south, fields and hedgerows. 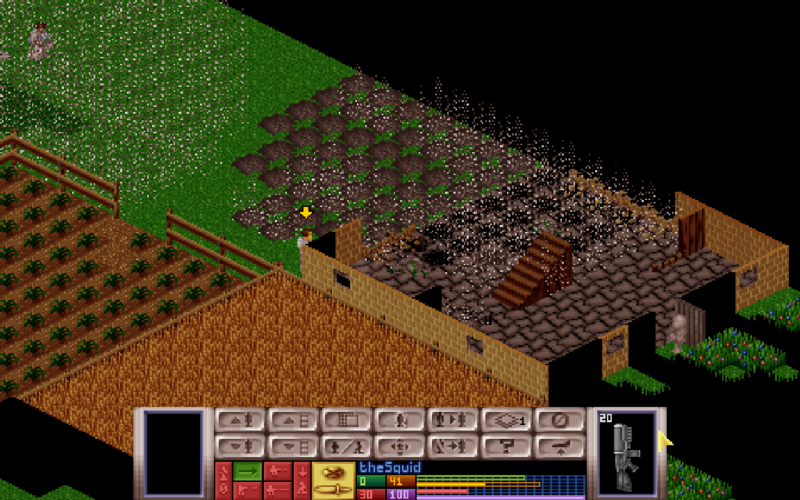 To the east, a two story farmhouse. Mousing over the fog of war tells us that all the doors on the second floor are closed. On the ground floor, we have open doors at (1) and (2). There are a couple of ways to read this situation. An alien may have moved southeast through the building, exiting through the front door at (2). It could attack around the corner at (4) on its next turn. Or it might have started out front and come northwest through (1), which would put it a few tiles away from opening that back door at (3) and blowing us away. 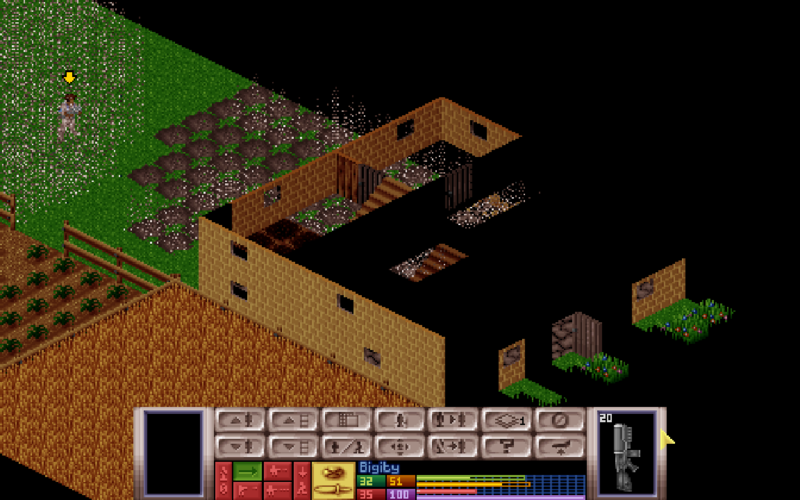 Even if we're dealing with multiple aliens, the solution is the same: proximity grenades at (3) and (4). The little white crosses on the minimap show that our proxies are right on target. The only thing that can go wrong is if an alien circumvents (4) by heading straight out into the field east of the house instead of coming around the corner. Or if it's a Floater, it may decide that where it's going, it doesn't need roads; in that case, our grenades will be rendered moot.  Let's see how our plan comes together. In the wake of the explosion comes a rattle from inside the farmhouse. The corner room door is open. Thought for the day: Hope is the first step on the road to disappointment. 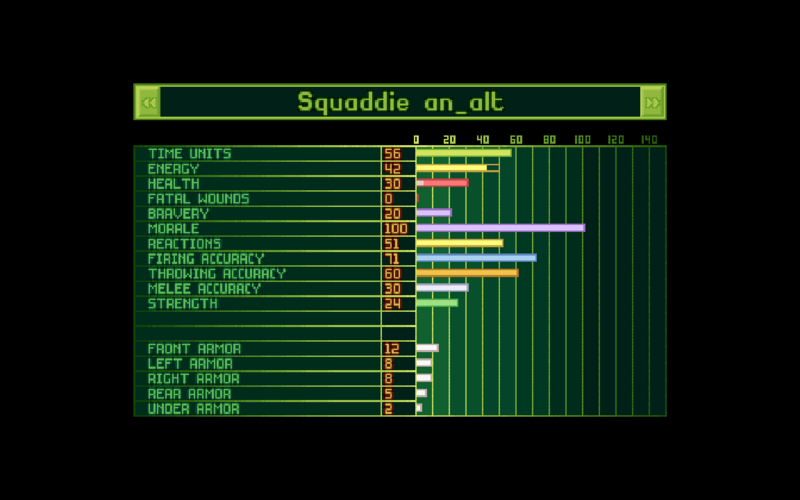 While I procrastinate writing up the rest of Operation Gut Check, let's take a moment to talk about soldier attributes, and why I chose the team I did for our current deployment. If you're not familiar with the attributes, I'll give a run-down in the spoiler. 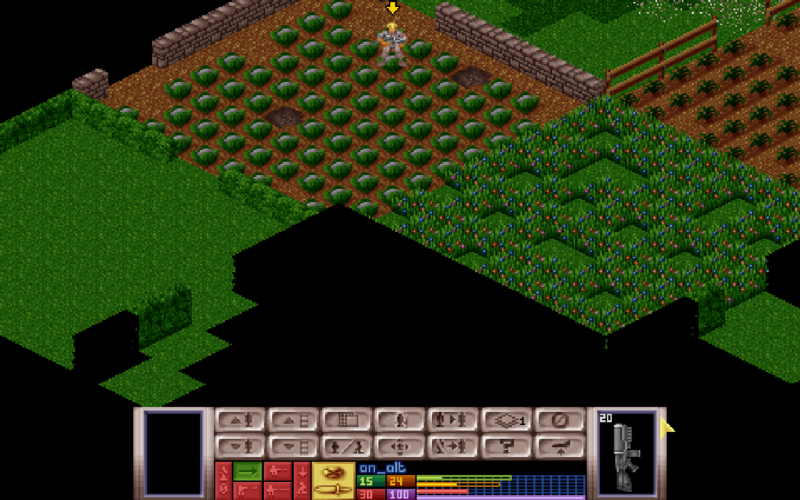 If you're an X-Com veteran, or you want to cut to the chase, feel free to skip ahead. 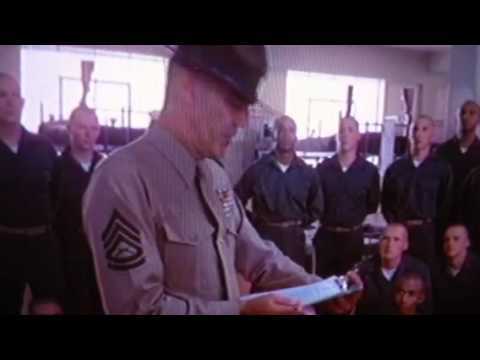 Time Units: Everything a soldier does requires time units. Turning 45 degrees takes one time unit. Reloading takes fifteen. Shooting takes a percentage of your time units, and the more accurate or voluminous your firing mode, the larger the percentage will be. Time units are completely replenished at the beginning of each turn. Energy: Locomotion doesn't just require time units, it requires energy. Climbing over rough terrain or sprinting long distances will drain your energy quickly, and unlike time units, energy replenishes slowly. Soldiers will require rest breaks on long runs to avoid becoming too exhausted to move. Health: The red bar goes down as the soldier takes health damage, and if it empties out, you're dead. 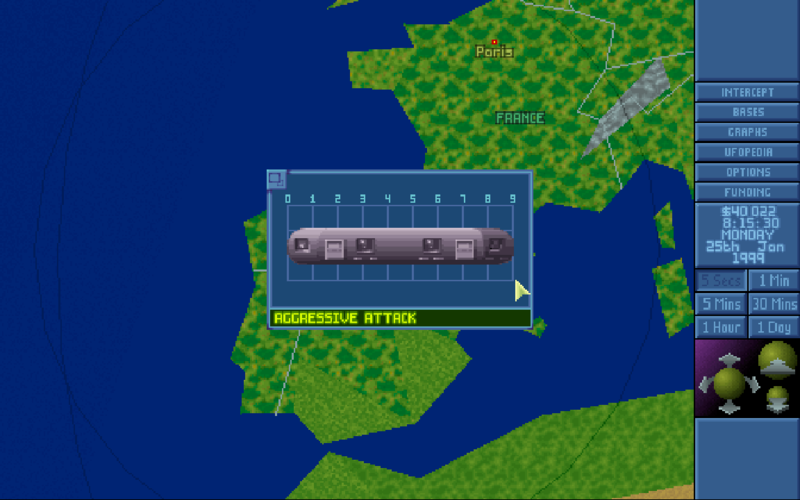 The superimposed grey bar represents stun damage, which is inflicted by smoke inhalation and lethal and non-lethal weapons alike. If the grey bar fills up enough to overtake the red bar, you fall unconscious. Fatal Wounds: Taking health damage has a chance to inflict one or more fatal wounds. 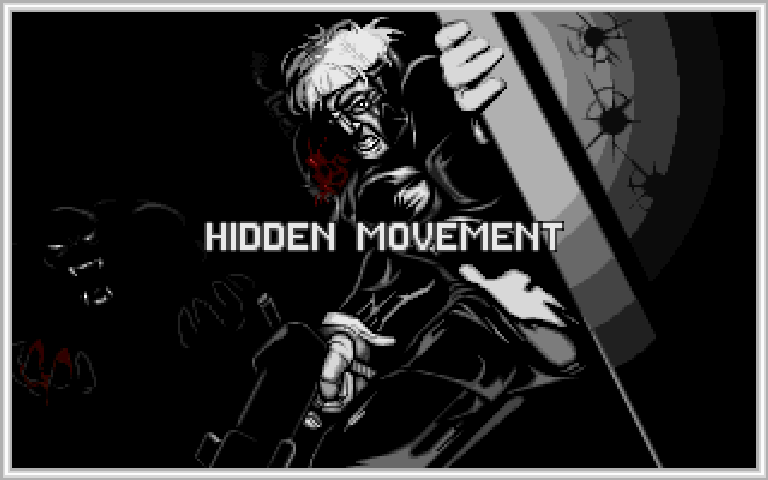 On every subsequent turn, the soldier will continue to take health damage equal to her number of fatal wounds. 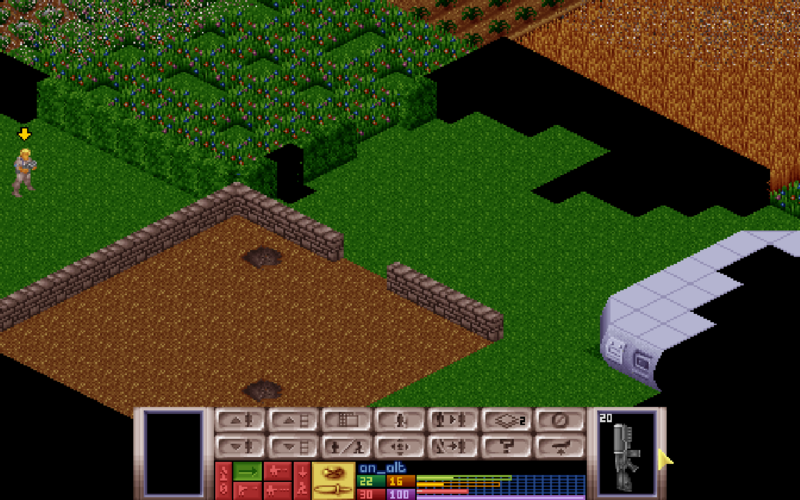 Bravery & Morale: Morale is lowered when you take damage, when other soldiers die, or when you're affected by a psionic attack. High bravery or the presence of an officer will mitigate morale loss, and killing an alien will restore it. If a soldier's morale drops below 50, she has a chance to panic or go berserk. 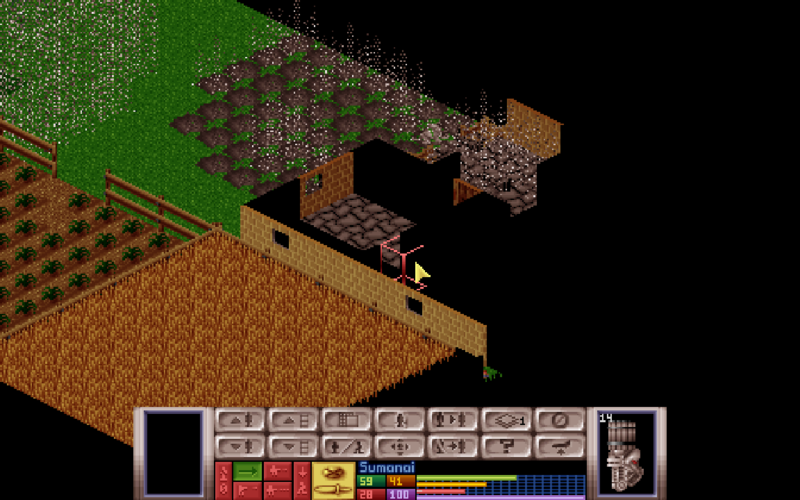 Reactions: When an alien sees a soldier on X-Com's turn, its reactions are compared to the soldier's; if the alien's reactions are higher, and it has enough time units remaining, it may take a snap shot at us. (The same is true, mutatis mutandis, if a soldier sees an alien on the Alien turn.) The actual mechanics governing reaction fire are complex and probably not worth going into here. Suffice it to say that not all actions or circumstances can provoke reaction fire. Also, the more time units you reserve for action on the enemy turn, the more likely you are to take a shot. Accuracy: Basically what it says on the box. However, throwing is inherently more accurate than firing, even when comparing identical attribute values. Strength: Determines how much weight a soldier can carry and how far she can throw things. If you begin a turn over your weight limit, you'll receive a penalty to your time units. Armor: All incoming damage is reduced by the relevant armor value, and the remainder is applied to your health. Most of our soldiers have less than fifty combined health and armor. The aliens' plasma pistol does more damage than that, on average. 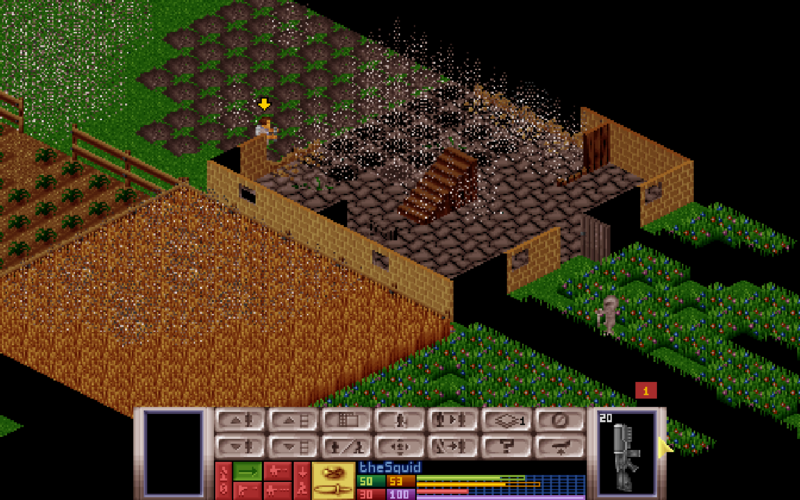 In a normal game of X-Com, we'd be evaluating soldiers on a lot of different factors - firing accuracy, reactions, bravery, and time units being prominent among them. And those things are important, sure. But for our purposes, there's only one stat that really matters: Strength. See, there will come a point when our rifles are no longer equal to the task at hand, and that point is approaching with hideous alacrity. 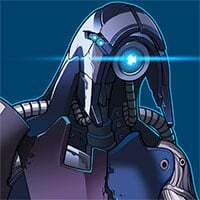 Mutons, Ethereals, Chryssalids, Cyberdiscs - all of them are effectively immune to rifle fire due to high armor, damage resistance, or a combination of both. 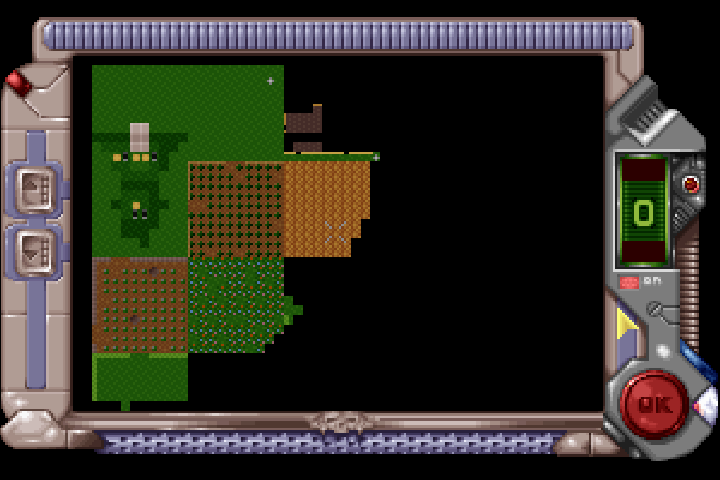 Even Snakemen will require multiple rifle shots to bring down. So we're going to need heavy cannons and autocannons, and those require high strength to wield. We're also going to need copious high explosive charges, which require high strength to throw beyond their own blast radius. A rifle, a spare clip, a grenade, and a proximity grenade. It requires 20 strength, which even the most noodly-armed squaddie (pictured above) can manage. Ideally, I'd like to add a smoke grenade to that loadout, as well as an electro-flare for night missions. Small items like that each have a weight of 3. Larger items, like high explosive charges and stun rods, weigh 6. If we replace the rifle with a heavy weapon, the strength requirement jumps fifteen points. The upshot is that we have several strength goals, or tiers, that we want our soldiers to reach: the minimum loadout requirement for a given weapon type, the minimum plus three (to carry an extra small item), and the minimum plus six (to carry two small items or one large). Let's see how our current roster measures up by strength. Soldier attributes grow with battlefield experience, and Scout recoveries are excellent training opportunities. Hence the lineup for our current operation - they're all on the cusp of reaching the next tier, and reaching it will give them a lot more tactical versatility. So, since I'm at the very bottom of the Rifle +6 tier, that means I'm not getting in on cake walk training missions since it's not going to bump me up to a more useful tier. And, since I'm carrying a rifle, that means I'm likely to stop being effective for much beyond smoke grenade duty (since my throwing arm is a bit on the noodly side for the heavy explosives). I'm not sure if this is good or bad, just wanted to make sure I understood the line of thought here. ... but yeah, sure, yours works, too. You're actually likely to see more combat than the rest of your tier, because we need everyone up to 35 so they can help carry the next batch of rookies. And hopefully it won't take long: it's entirely possible to gain four or five strength from a single deployment. Unfortunately, while this initial strength training goes on, you he-man types are going to spend a fair amount of time in the barracks oiling your guns. You represent our strategic beefcake reserve against base invasions and terror missions. This mission is a bit of an anomaly. I'm trying to get a quick bump for several of our borderline people, including the high-strength folks. 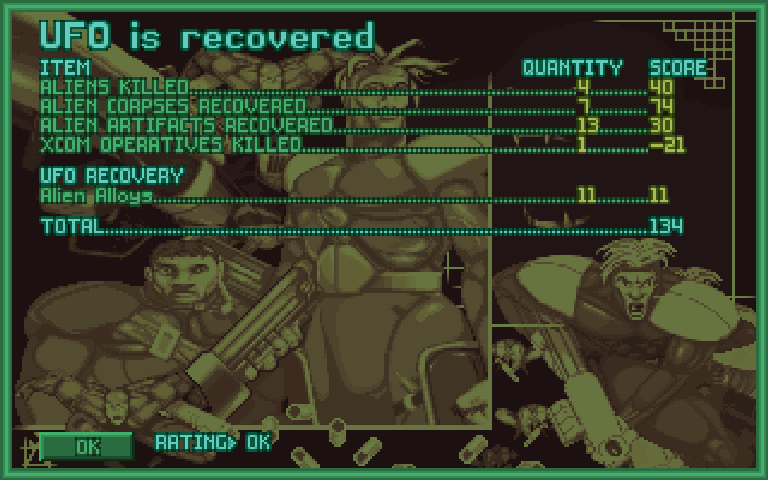 Normally I'll only take two heavy weapon carriers on an early Scout recovery, with the other six to eight being riflemen in training. The lightest direct-fire weapon capable of consistently damaging Ethereals is the rocket launcher. Training new rookies in the summer is going to be interesting. Is it wrong that I'm just glad that we'll be firing a bunch of rockets all the time? All the time? You sound like you think we are selling laser cannons in bulk to finance our war. Yeah somehow I don't think a secret organization would want to have to be using the marketing tagline of "A laser cannon in every pot!" so we will do without. We can still sell alien corpses and artifacts. I mean, we're talking rockets here, not heavy plasmas. Petty sure that "No garage sales" was part of the rules for this LP. The only cash we get is what the Council gives us. First you're advocating for the adoption of bizarre alien technology, and now you're suggesting we sell alien corpses to Hal and Mal Bumdoodle in Nowheresville, Iowa? I think the boys in Section Nine are going to need to have a little chat with you about security protocols. Bah. Keep forgetting the rules to this Nuzlocke. Strategic Beefcake Reserve will be the name of my Queen cover band. 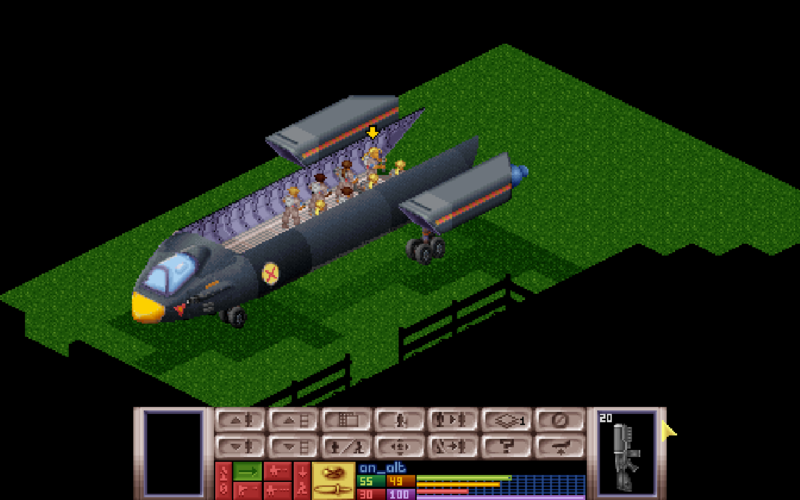 Now I'm imagining X-Com operatives doing things just trying to get money for their next rocket fix. Rocket withdrawal is not a pretty thing, let me tell you. ...In that case, I think I may need to call my broker. I may not be needing that 401k after all. In any case, I guess this means no rocket dual wielding. 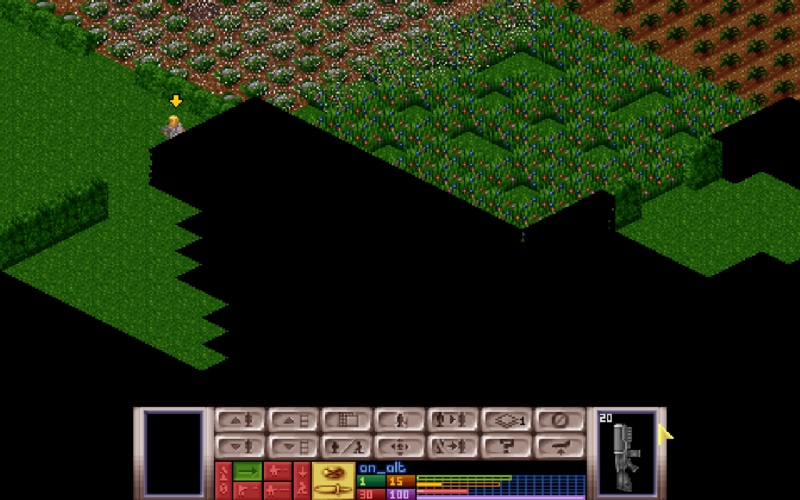 Having revealed the southwest corner of the map, an_alt ends her turn in no man's land. We'll have to drop smoke to cover her as she advances on those hedgerows. Meanwhile, Sergeant Talus9952 scouts the farmhouse. The Sectoid in the corner room comes as no surprise. But another is creeping through the wreckage left by our proxy mine. If it's disquieted by the shattered body on the ground in front of it, it gives no sign. The barrel of its plasma pistol twitches upwards, and its dead eyes swivel to Talus. 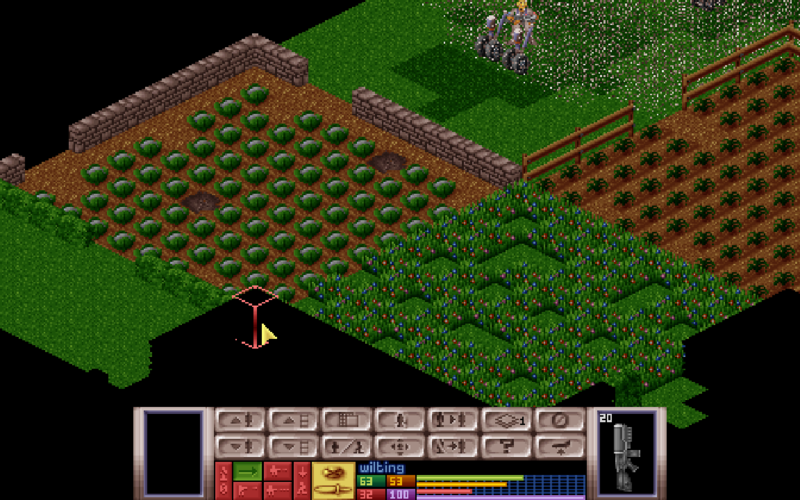 We're going to have wilting try to thread rifle fire through the window to deal with the Sectoid in the corner room. Sumanai can handle the other one - even if she misses, her explosive autocannon rounds will do some damage when they impact on the wall behind it. But before all that, Talus needs to clear the line of fire. As usual, there's only one safe route: directly back the way she came. Talus has eight turns left before she bleeds out. 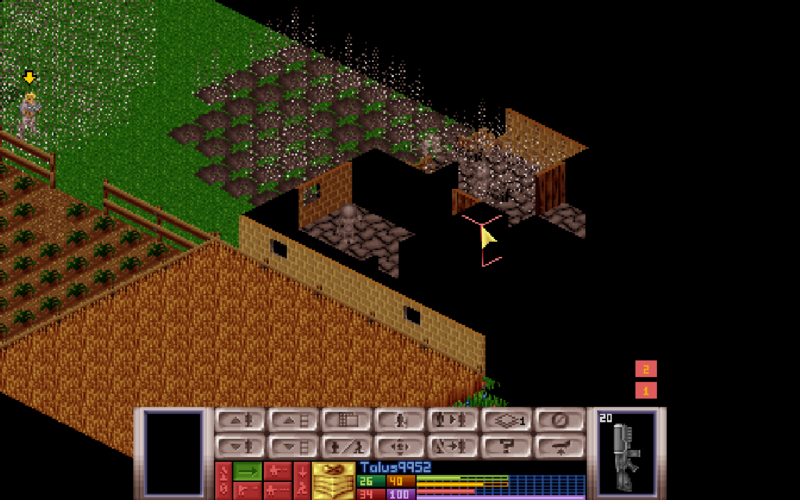 We suddenly have a hard out on this mission, and we haven't even found the UFO yet. This was supposed to be a training run. All right, wilting. Take your shots. And in truth, it scarcely matters that we missed this Sectoid. It's the other one we really have to worry about, because it can advance on our landing zone during its next turn. We needed Sumanai to deal with it, and Sumanai is gone. All we have left is Bigity. 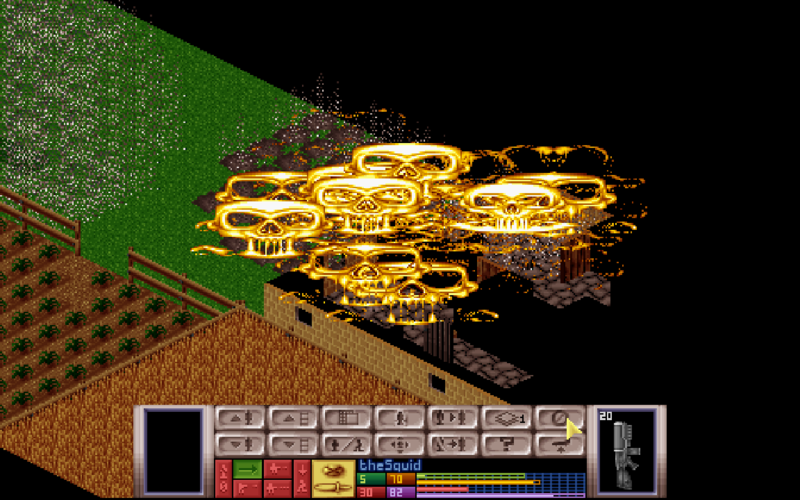 Needs more skull shaped explosions (budget permitting). I shall avenge them while singing the song of my people, which sounds a lot like explosions. I like to imagine some pyro nut job, deep in an underground lab, carefully shaping high explosives for optimal shrapnel and sub-munition dispersal while maintaining the whole big cloud of skulls look. After every mission an unmarked, encrypted USB drive is delivered. It contains helmet camera footage, recordings of every grenade that was used, every one a hand crafted masterpiece that he's built from scratch. He loads them into his computer, and smiles. The ground shudders under an_alt's feet as she moves up to the hedge, and a blast of hot wind rushes over her from the north. Outside the smoking shell of the farmhouse, Bigity surveys his handiwork. There's nothing left of the ground level interior except the stairs, and they no longer lead anywhere worth going - the second story floor is a latticework of holes and charred timber. With Bigity taking a knee to provide covering fire, theSquid moves up to get a clearer picture on the field beyond. Not what we wanted to see. 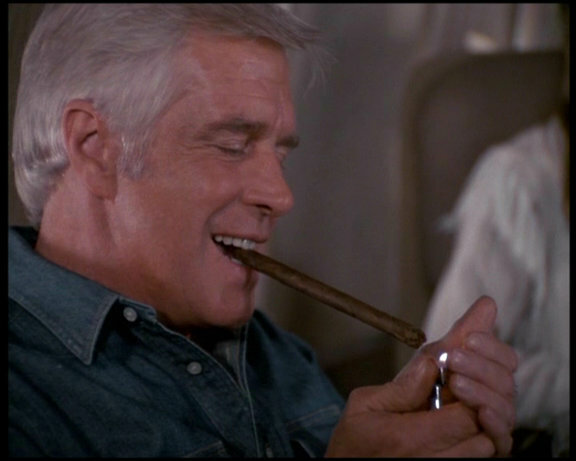 Squid is exposed, and we'll have to smoke the wheat field to cover him from that angle. Meanwhile, Talus9952 is running out of time. She's stripped Sumanai's corpse of most of its gear, tossing the grenades ahead to the rest of the squad. All that remains is to carry the autocannon into the Skyranger, and when that's done, she'll collapse beside it. Everything between her shoulderblades is numb, and her coveralls seem to be stuck to her. She can feel them tugging at her back, damp and heavy, every time she bends or turns. Finally, we have a view of the objective. But it's so far away. In the time it'll take Heatwave, KoopahTroopah, and wilting to run down through the gap in the hedges, Talus will be a turn or two away from bleeding out. A hard decision is upon us. 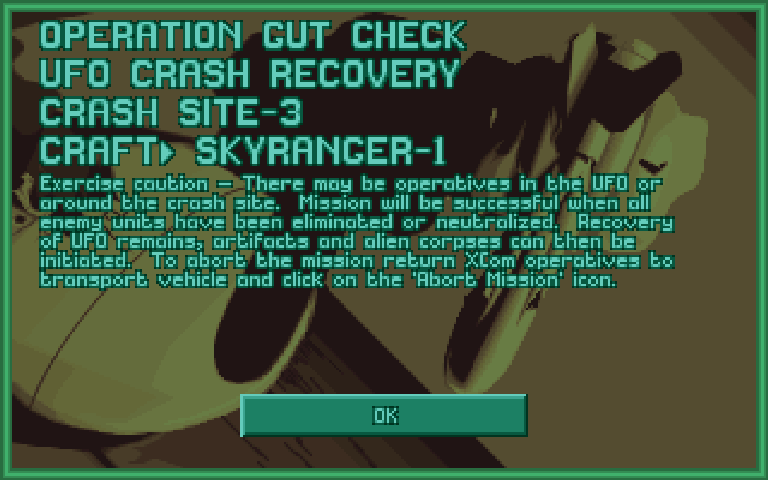 Either we abandon the mission now to medevac Talus, or we commit to clearing the UFO. If we can eliminate all resistance in the time Talus has left, we'll be able to stabilize her. I don't want to let this one go. Not after what we've lost here today. I rush our team forward into any sketchy piece of cover they can find, trying to clear as much ground as possible before we reach the point of no return. Peeking theSquid around this corner is a bad risk. From his firing position by the Skyranger ramp, Bigity has just enough time units for four low-percentage snap shots. A hit! But not a kill. Talus9952 will be in the infirmary for 19 days. We need a new Sergeant to step up in her absence. I know he'll do us proud. 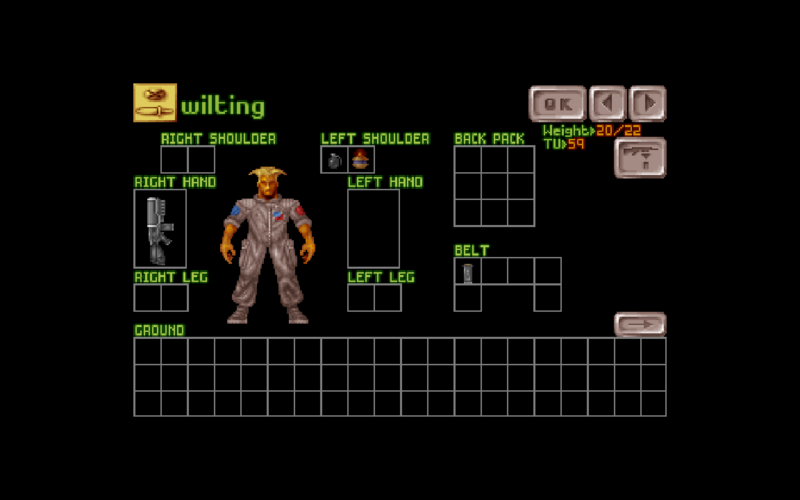 Hey Commander, I know a guy who will buy those alien bodies rotting in our storerooms. Maybe we can buy a bigger radar with the money eh? The OP is committed to failing.